Booking Cebu Pacific promo fares is very tough. There are many people who compete for the booking, especially if the flights that are on promo are those going to popular tourist destinations. Available Cebu Pacific promo fares just last for few hours and then they are gone. I am always on the look-out for promo fares whenever I have plans to travel. 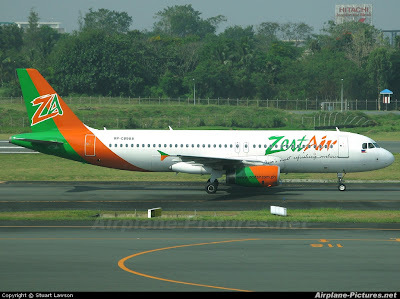 If I fail to get promo fares from Cebu Pacific, my next recourse is to book a flight at ZestAir. ZestAir flights are way cheaper than the regular flights in Cebu Pacific and AirPhil Express. The problem with ZestAir, however, is that its online payment scheme is not flexible as compared with that of Cebu Pacific. ZestAir only allows those who book online to pay thru credit card. Fortunately, ZestAir has another way to reserve a flight other than the online means. And that is by booking via telephone. So, if you can’t reserve a ZestAir flight via the ZestAir website, I highly suggest that you dial the ZestAir hotline: 855-3333. You only have to wait few minutes before the ZestAir sales representative answers your call. Reserving a flight via telephone is easy because the sales rep will guide you throughout the process. Still searching for a cheap flight because you failed to grab any flight via Cebu Pacific promo fares? Why don’t you give ZestAir a try? Read my post about Zest Air promo fares. Visit Before the Eastern Sunset and see my photos of Carriedo Street, Manila. Tama ka. Mas flexible pa rin yung Cebu Pacific comapred sa ZestAir. Mas marami kasing flight yung Cebu Pacific compared sa ZestAir. Ang gusto ko lang sa ZestAir eh mas mura ang flights nila comapred naman sa Cebu Pacific. Mas mura lang ang Cebu Pacific kapag nakakadale ka ng promo fares nila eh. Sorry for the bad experiences. Nawa'y makarating sa Zest Air ang mga hinaing mo. Kung sa end nila ang may kasalanan ay dapat ibalik nila ang pera mo.